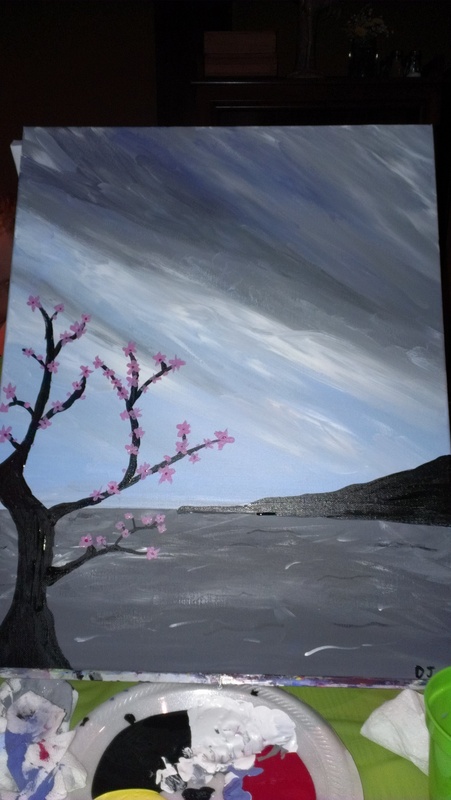 Earlier this summer there was a Living Social coupon to do Paint Nite and my friend Jenny suggested that we get it and then go paint together one night. 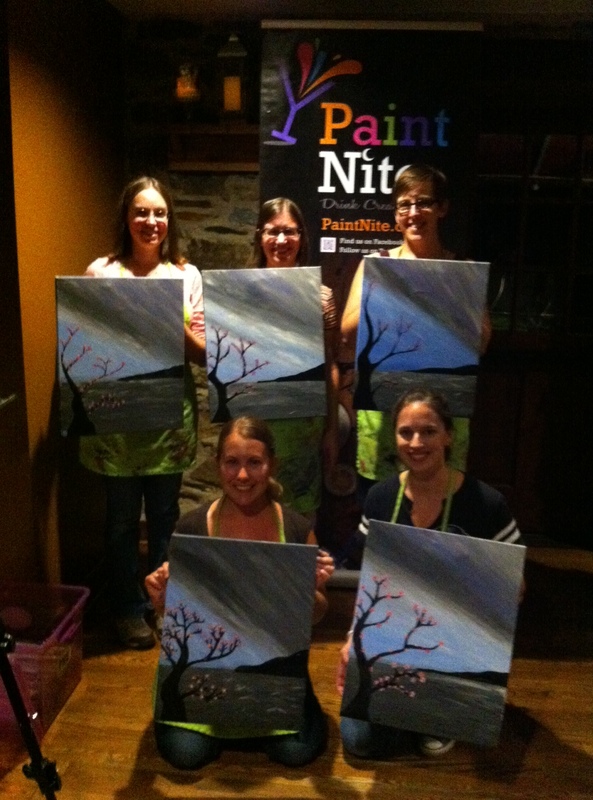 If you’re unfamiliar with Paint Nite it’s an organization that does painting events at bars and such. On their website they list the location, date, time, instructor, and show the painting you’ll be painting that night along with a rating for how hard it is to paint. Realizing our coupons were going to expire in mid-October we put our collective calendars together and came up with the one they were holding at Birroteca tonight. It started at 6, but we decided to grab a really early dinner together first. Birroteca doesn’t actually open until 5 and we decided that we would be pushing it to be done in time if we actually ate there, so we wound up going to Arthouse instead. I was amused that we went from one Hampden pizza place to another for our evening’s activities. I gather this is probably one of those things that like trivia, bars host on their slow nights in order to draw people in. This was the first one I’ve been to, so I’m not sure how similar the set-up is everywhere else, but I didn’t find it to be conducive to drinking at all. There was barely enough room on the table for the painting supplies and there certainly wasn’t any room to put down an extra glass. I did have a glass of water at one point that I had to set on the floor and then promptly managed to kick over, so I’m glad I didn’t have an actual drink. Other locations may have more room to spread out though and give people a little extra table space. Even though our picture was rated as easy and we were going to get instructions on how to actually paint it I was dubious about my ability to paint anything halfway decent. I was actually pretty happy with how it turned out though. I might even hang it in our guest room. I’m not sure I’d want to pay full price for it, but it was a fun activity and I would definitely do it again for a discount.